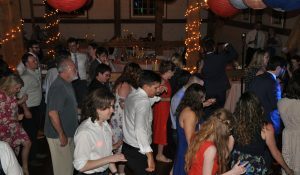 And We Danced DJ Entertainment was proud to provide the right songs and music for Jen Berkebile and Erik Schmalz’s spectacular wedding reception. Jen did not have a particular theme for the day, but she knew that poppies and ranunculus had to be the flowers of the day. She then chose colors that would work well with her choice of flowers. Jen wore a beautiful taupe dress, and her bridesmaids wore poppy colored dresses. The groom and groomsmen sported blue suits with poppy colored ties. 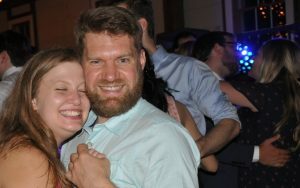 Jennifer Berkebile and Erik Schmalz met while in college at Duquesne University. They moved to the State College area to continue their education. Erik proposed to Jen in May, 2016. On June 2, 2018, Joe Jividen, friend and officiant, performed the wedding ceremony at the Rhoneymeade Arboretum and Sculpture Garden. Later, the party adjourned to the General Potter Farm to continue the celebration. And We Danced DJ Entertainment provided the music that had people dancing, singing and partying the night away. Lotsa Laffs Photo Booths was busy capturing the awesome fun and poses the guests were displaying that night. Jen, Erik, family and friends were either on the dance floor or mugging for a picture behind the photo booth. Full Circle Farms was the fantastic flower artists of the day for both the ceremony and reception. 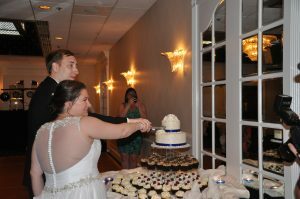 Instead of cake, the couple chose apple, cherry, blueberry, shoofly, chocolate shoofly, rhubard and strawberry rhubard pies as the dessert of the night. They were made by Dutch Valley Bakery. That Kitchen Witch was the caterer for the reception. Ellen and her staff were also busy bees keeping the bountiful buffet line moving and enjoyable. 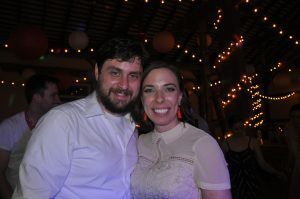 Thank you Jen and Erik for allowing And We Danced DJ Entertainment to be a part of your wedding celebration! It was very clear that day that Jen Berkebile and Erik Schmalz were meant to be!!! 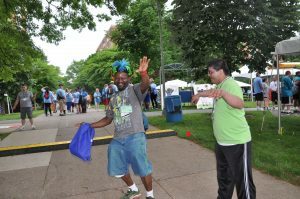 The 2018 Pennsylvania Special Olympics Summer Games is now a fond memory to the athletes, families, coaches, planners, vendors and volunteers. And We Danced DJ Entertainment had an awesome time providing music for all of the wonderful people traveling through the Olympic Village at the Summer Games on the Penn State University Park campus May 31st, June 1st and June 2nd. 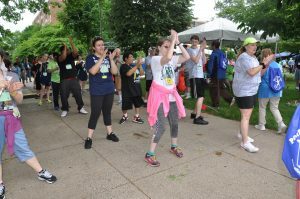 Not only were the Special Olympians dancing on the sidewalks, but coaches and family members were getting into the groove. 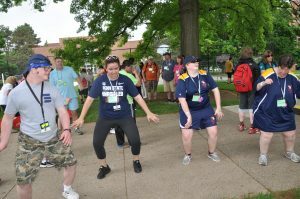 The Pennsylvania Special Olympics committee needs to set up a dance competition in next year’s Olympic games for the many athletes busting a move traveling to and from their event or relaxing at the Olympic Village!! The BB&T Nookie Monster, Ike the Spike and Eat ‘n Park’s Smiley mascot were on hand dancing, shaking hands and posing for pictures with all travelers through the Olympic Village. Many super heroes stopped by to say hello and pose for pictures with the Olympians, their coaches and family members while traveling to their next assignment. Eat ‘n Park had smiley cookies available for all to eat and enjoy. 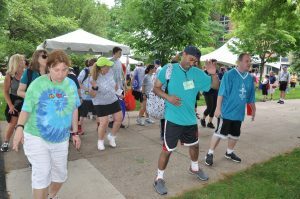 This is the 49th year for the Pennsylvania Special Olympics. 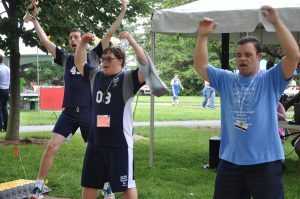 Over 2,000 athletes compete in the PA Special Olympics each year. Athletes compete in three full days of aquatic, athletic, basketball, bowling, equestrian, golf, gymnastics, softball and tennis competitions. Competitors must be at least 8 years old to compete and have one of the following conditions: intellectual disabilities, formal assessment measured cognitive delays, significant learning disabilities, or vocational problems associated with cognitive delays requiring specially designed instructions. 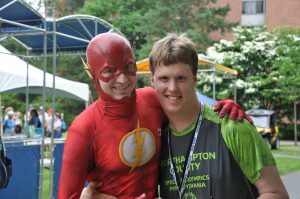 Local representatives can provide more details on how to become involved and participate in various Special Olympic events. 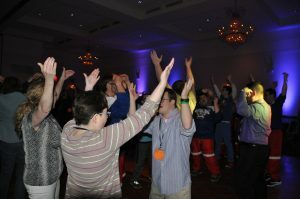 This is the second year that And We Danced DJ Entertainment had an opportunity to provide great music for all the Olympians and their families, and we look forward to again making the Olympic village lively and festive as the Special Olympics celebrates its golden anniversary next year! Thank you Special Olympians for dancing, talking and showing us your medals of achievement!! 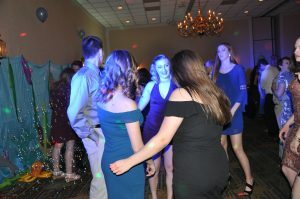 And We Danced DJ Entertainment had an amazing time at the State College Days Inn on April 13th with Penn State’s Association of Women in Computing (AWC), the American Institute of Chemical Engineers (AIChE), the American Society of Civil Engineers (ASCE) and the Society of Women Engineers (SWE), as they held their 2018 Semi-Formal with the theme, Under the Sea! 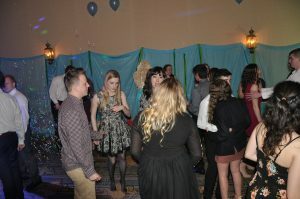 The professional groups decorated the room with inflatable sea creatures and mermaids. Balloon decorations were placed at each doorway symbolizing bubbles under the water. 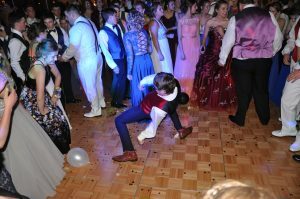 A bubble machine was churning a never ending supply of bubbles as the guests danced. And We Danced projected a stunning light show onto the dance floor. And We Danced DJ Entertainment provided upbeat dinner music to enhance the dinner hour. 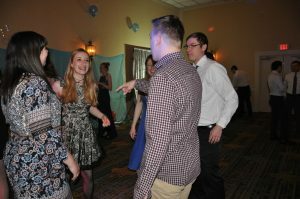 A little after eight o’clock, the students were ready to have fun. 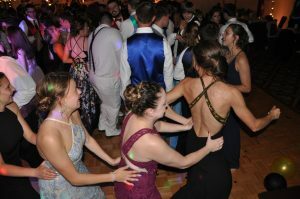 Lights were turned down, and the students began getting up and moving to the music. 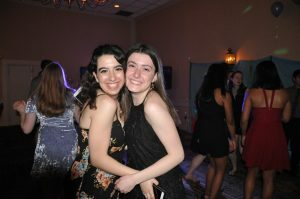 While some guests left the dance floor to get some fun pictures with their friends and significant others at the photo booth provided by Lotsa Laffs Photo Booths, many began to sway and get down to the throbbing dance music. 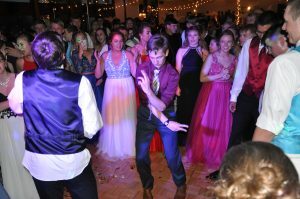 By the third song, the dance floor was packed with guests partying. 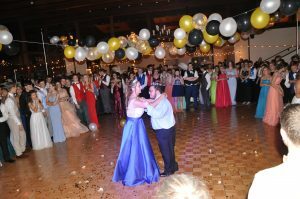 Lights were flashing while bubbles were brewing as guests performed the Cupid Shuffle and Cha Cha Slide. 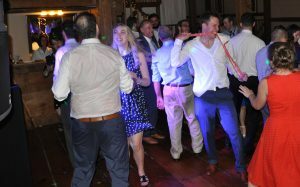 The guests were having such a great time! Penn State University has various professional engineering societies geared towards various engineering backgrounds. Each society meets on Penn State’s campus and can be found online with meeting times and locations. If you have interest in any of these groups, please look them up online! 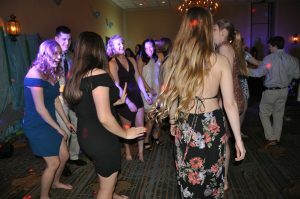 When And We Danced DJ Entertainment announced that the semi-formal would be ending, the guests thanked us and said good-bye. 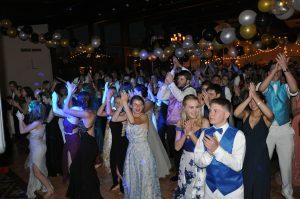 And We Danced DJ Entertainment can’t wait to party with these fine folks in 2019! I’m Glad That I Came Tonight! These Bubbles Are Really Cool! Alright, What Should We Do Next?!! What Song Should We Ask The DJ To Play Next? 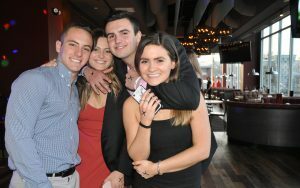 A Great Night For Friends! It Really Looks Like We Are All Under The Sea! 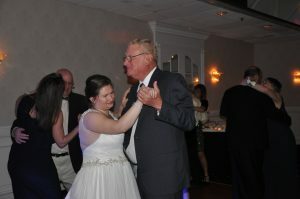 Look At Us All Dancing Together! 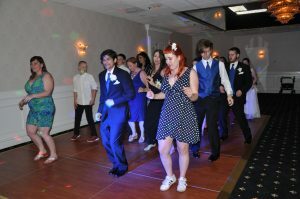 We Really Love The Cupid Shuffle! 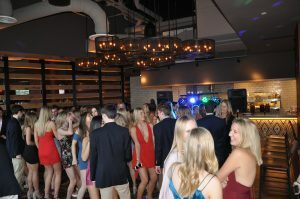 And We Danced DJ Entertainment provided music for Penn State’s Pi Beta Phi sorority formal the other night at the Federal Taphouse. The sorority members and their dates were dressed to impress that night. 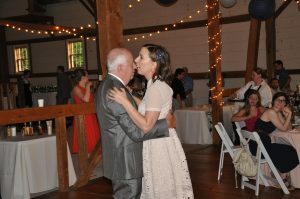 As they entered the venue with their significant others, music was playing while dance floor lights were flashing. 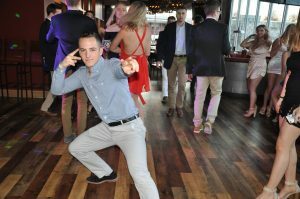 Guests quickly began to sample the buffet line, gather among friends, snap some photos to celebrate the night, and dance to the incredible music. 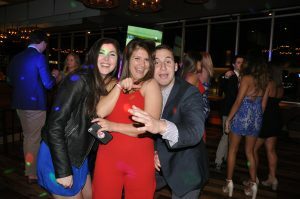 Pi Beta Phi members and guests were not camera shy that night. And We Danced snapped some gorgeous photos of members throughout the night. Couples and friends always stopped and smiled for the camera. 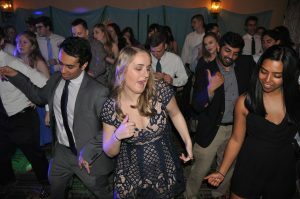 Take a look at the spectacular shots we took of Pi Beta Phi and guests at their 2018 formal! 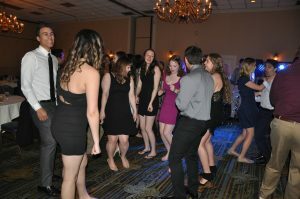 The dance floor was packed the entire night! Music spanned the genres. No one was left out. 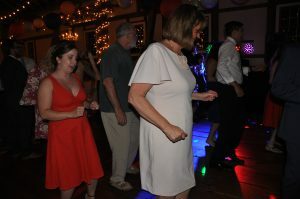 And We Danced even slowed it down to give couples a chance to sway and sing to their significant other. As with all of our events, we demonstrated a deft ability to read the crowd and create the perfect entertainment! We really enjoyed the acoustics and stylish setting of the State College Federal Taphouse! The night was going great until the witching hour. 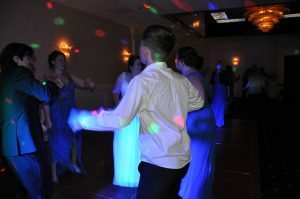 The party was over, but guests wanted encore music to continue dancing the night away. 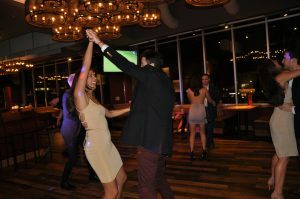 The Federal Taphouse needed to reopen for their clientèle, so the marvelous party had to end. As the party ended, the guests fist-bumped and thanked us for an awesome time. The Federal Taphouse staff were dancing away while cleaning up and also said thank you for the marvelous music. 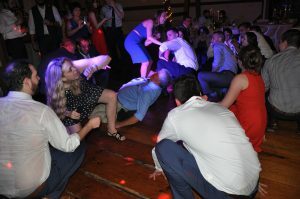 This was clearly a night to remember for all! 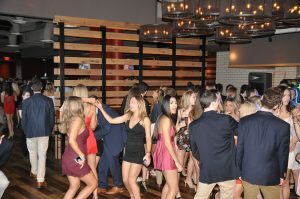 Thank you Pi Beta Phi for allowing And We Danced DJ Entertainment to be a part of your 2018 formal event! I Can Really Get Down, Man! No Way We Are Going Home Any Time Soon! Pennsylvania’s Special Olympians were recently in State College for their annual floor hockey event at the Ramada State College Hotel & Conference Center. Later in the evening, And We Danced DJ Entertainment was spinning the athletes favorite songs while they danced the night away. 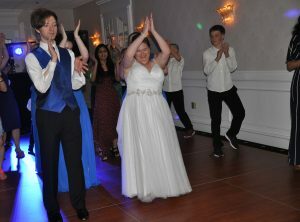 The dancing didn’t start until 8pm that night, but the athletes could not wait to get inside the ballroom to begin dancing with their friends, family, coaches and Special Olympics staff. Young and old were on the floor having fun. 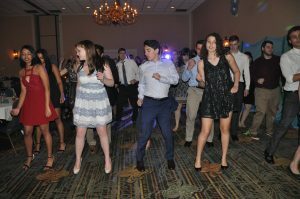 Lights were flashing while the athletes were doing the Cha Cha Slide, YMCA and the Chicken Dance. 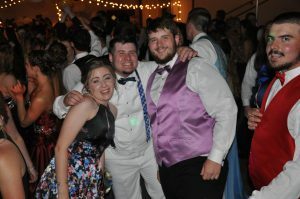 No line dance was missed that night. 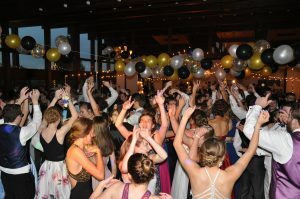 The kids were quick to kick their feet, raise their hands and shake their feathers to the classic tunes. 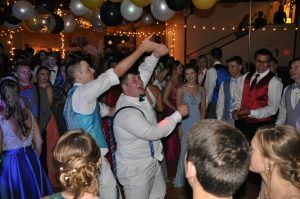 It was great to see some athletes with their significant other slow dancing to some popular songs. They are AWESOME dancers! 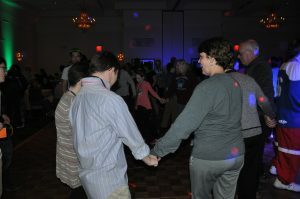 The Special Olympics staff were also dancing and singing along to their favorite tunes that night. No one was left out. Before we knew it, the 10pm witching hour was upon us. All the athletes made sure to shake our hands before they left to get a good night’s sleep. 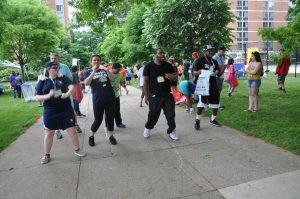 We told them to come say hello and request a song as we will be at the Olympic Village from May 31 thru June 2, 2018 playing songs to keep the athletes, families and coaches energized before and after their Summer Special Olympics events on the Penn State campus. If you have a chance, stop by the Olympic village between May 31st and June 2nd to see some of these terrific kids having fun dancing to their favorite tunes before heading to an event or even after an event. 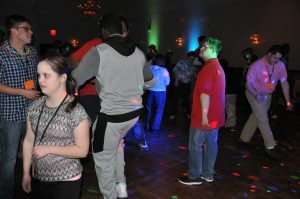 This is the second year And We Danced DJ Entertainment has been the DJs for this event, and we cannot wait to be part of the 2018 Summer Special Olympics day events! 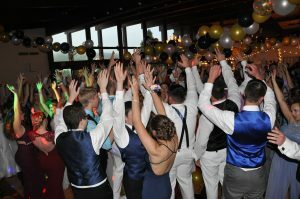 Everybody Get Your Hands In The Air! 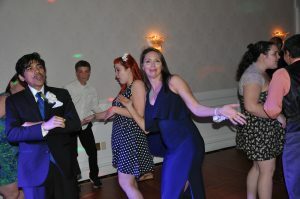 Having A Dancing Good Time! Having Fun Under The Colored Lights! A couple met in line while waiting for their local Best Buy to open its doors on Black Friday. They got married the following year there! 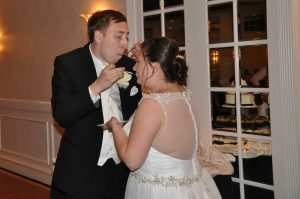 Another couple met while working at Sam’s Club and decided to have their big day at Sam’s Club followed by a reception in their snack bar area. 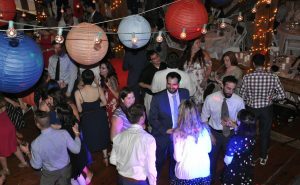 This might seem like a joke, but brides and grooms are choosing to host their wedding and reception at very nontraditional venues. 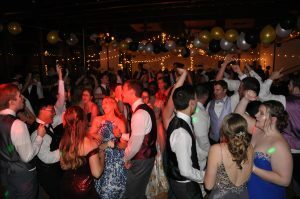 And We Danced DJ Entertainment has had the opportunity to serve couples in many nontraditional settings, but we haven’t yet had the opportunity to provide sound, music, and lights at the local grocery store or tire service. Many couples are deciding to ditch a normal setting for something that means more to the couple. Did you meet at a rock concert? Rent the venue for your wedding and reception. Meet at camp? Rent the camp for your big day. 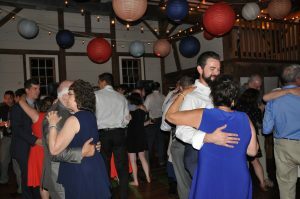 Many of these venues realize that a wedding is an important milestone in the life of a couple, and the couple will have a significant moment and memory in the nontraditional venue of their choice. Nontraditional venues are excited to work with couples to help make their day special. Besides music and sound, why not add a special photo booth to the mix while marrying at your local food store! 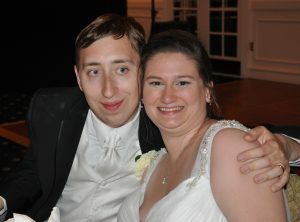 All would enjoy a great gift of a picture with the bride and groom in the nontraditional setting. It would be an event that will not be forgotten and dearly remembered in years to come. 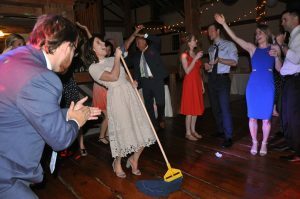 So, if you met at the local pizza shop and spent time going to the eatery together with touching moments together at the shop, why not rent the place and hold your wedding inside! Pizza loving guests will sign your guest book while grabbing a slice of pizza and toasting your big day. 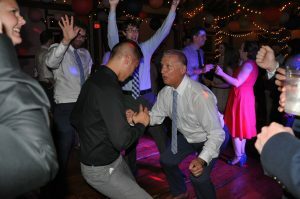 Call, text or email today with your wedding date and nontraditional venue, and And We Danced DJ Entertainment will gladly enhance your special day! 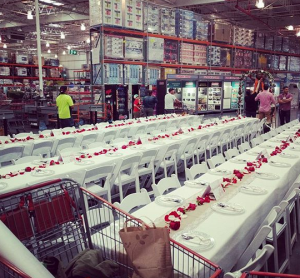 You Are Cordially Invited To Our Wedding – 3PM At Sam’s Club!